Meetings are free and open to the public. Future meeting dates, times and locations will be announced and posted on the website. You're Invited! Learn more about plans to protect Key Biscayne's utilities. 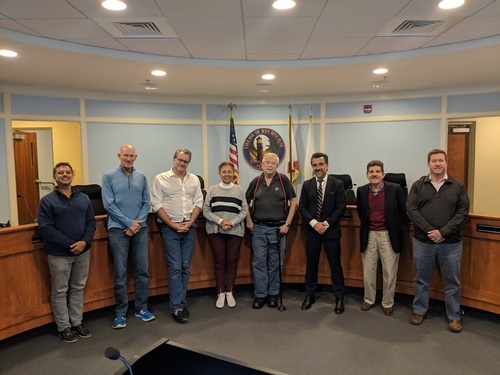 The Village of Key Biscayne (Village) has been investigating the feasibility of relocating existing overhead utilities (electric, telephone, and cable) to an underground location to enhance the safety, reliability, and aesthetics of these facilities within the Village. Get involved! Help make the Village of Key Biscayne more resilient, reliable and protected. Undergrounding Utility Task Force (UUTF) appointed by the Village Council is the body that provides direction, input and feedback for all elements of the Undergrounding Program. The UUTF will advise the Village Council based on input received from members of the public, Village staff, financial advisors, assessment methodology consultants, Kimley-Horn, and others it wishes to involve in the process.